The global economic crisis of 2008 cost tens of millions of people their savings, their jobs, and their homes. This is how it happened. From Academy Award®-nominated filmmaker, Charles Ferguson, comes Inside Job, the first film to expose the shocking truth behind the economic crisis of 2008. The global financial meltdown, at a cost of over $20 trillion, resulted in millions of people losing their homes and jobs. Through extensive research and interviews with major financial insiders, politicians and journalists, Inside Job traces the rise of a rogue industry and unveils the corrosive relationships which have corrupted politics, regulation and academia. $39.649 thousand on 2 screens. In 2010’s Oscar-winning documentary Inside Job, we look at the financial crisis that rocked the economy in 2008. Narrated by Matt Damon, the film starts with a look at deregulation in Iceland and how it destabilized the country’s previously solid economy. From there Job traces “How We Got Here” as it looks at the roots of the modern crisis in the 1980s. It moves through the deregulation of the subsequent years and the growth of large financial firms. It also traces the growth of derivatives, subprime and predatory loans, and other factors that led to the “bubble” of 2001-2007 when housing prices shot through the roof. All of this led to the crash in 2008; the film discusses that event as well as subsequent attempts to fix the situation. Through the movie, we hear different perspectives. Job features interviews with University of Iceland Professor of Economics Gylfi Zoega, writer/filmmaker Andri Magnason, Icelandic Parliament Special Investigative Committee’s Sigridur Benediktsdottir, former Federal Reserve Chairman Paul Vocker, IMF Managing Director Dominique Straus-Kahn, billionaire/investor/philanthropist George Soros, US House of Representatives Financial Services Committee Chairman Barney Frank, Bush administration Under Secretary of the Treasury David McCormick, Financial Services Roundtable chief lobbyist Scott Talbott, China Banking Regulatory Commission chief advisor Andrew Sheng, Singapore Prime Minister Lee Hsien Loong, France Finance Minsiter Christine LaGarde, Financial Times US Managing Editor Gillian Tett, NYU Business School Professor Nouriel Roubini, Bush administration Chief Economic Advisor/Columbia Business School Dean Glenn Hubbard, former Governor of New York/former New York Attorney General Eliot Spitzer, Harvard Business School Professor Emeritus of Investment Banking Samuel Hayes, Two Trillion Dollar Meltdown author Charles Morris, former Greenlining Institute Director Robert Gnaizda, Citigroup Chief Economist Willem Buiter, MIT Laboratory for Financial Engineering Professor/Director Andrew Lo, Commodity Futures Trading Commission Former Deputy Director (1997-2000) Michael Greenberger, Traders, Guns and Money author Satyajit Das, UCSD Professor of Law and Finance Frank Partnoy, Center for Responsible Learning Director Eric Halperin, Financial Times Chief Economic Commentator Martin Wolf, Harvard Professor of Economics Kenneth Rogoff, Westwood Capital Managing Director Daniel Alpert, IMF Chief Economist (2003-07) Raghuram Rajan, former Lehman Brothers Vice President Lawrence McDonald, Lehman’s bankruptcy lawyer Harvey Miller, Lehman Brothers Vice Chairman (2003-07) Jeffrey Lane, prostitution ring organizer Kristin Davis, Fortune Magazine Senior Editor Allan Sloan, hedge fund manager Bill Ackman, Moody’s Rating Agency former Managing Director Jerome Fons, Federal Reserve Governor (2006-08) Frederic Mishkin, MIT professor/IMF former Chief Economist Simon Johnson, former factory worker Joanna Xu, Singapore Press Holdings Editor-in-Chief Patrick Daniel, foreclosed homeowner Columba Ramos, Catholic Charities volunteer Eric Evanouskas, former construction worker Steven A. Stephen, and Harvard Economics Department Chairman John Campbell. If you hope to leave Job with optimism that the economic woes of 2008 won’t happen again, I’ll save you a purchase/rental: abandon hope all ye who watch this film. At no point do we get a sense that the recent problems were an aberration or that the system will ensure protections; we’re left with the feeling that everything pretty much remains status quo. That’s a depressing conclusion but hopefully one that will produce stronger attempts to change things. To be sure, Job will spark outrage in its viewers – unless those viewers are among the very small group of financial fat cats who benefited from all the fraud and avarice on display. 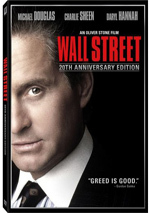 Gordon Gekko may have told us “greed is good”, but Job states the opposite. It makes a case for the incredible harm caused by rabid attempts of the rich to get richer, and it does so in a concise manner. The movie takes us through the outrageous behavior of the financial parties and leaves us with the clear impression that they cared about nothing more than their own wealth. Probably the best aspect of Job stems from the manner in which it explains the financial concepts. It digs into a wide mix of components and schemes but ensures that we understand all of them. Maybe it’s the same as “Wall Street for Dummies”, but I like it; I appreciate that it doesn’t overreach with jargon and that it gives the neophyte all he or she needs to comprehend the shenanigans on display. Job also offers an equal opportunity assault on presidential administrations. Sure, the W years get the most attention since they covered the period during which the economy actually collapsed, but the film doesn’t lay all its blame on them. The movie traces the roots of heavy deregulation back to the Reagan era and demonstrates how both Republican and Democratic presidents contributed to the current mess. In addition to educating and prompting outrage, Job remains entertaining. It never feels overly academic or stiff. Instead, it flows smoothly and briskly across its 109 minutes. If anything, it could stand to be a little longer and dig a bit deeper. Job delivers a damning view of financial institutions and politicians that I hope helps spur additional reform – though I’m not optimistic. Sharpness usually seemed adequate. The program consisted mostly of a mix of archival elements – mostly videotaped - and “talking head” interviews. Unsurprisingly, those videotapes looked worst. They tended to be somewhat rough and smeared, so don’t expect great visuals from them. The new material could occasionally look a little soft but the interviews generally appeared reasonably accurate and concise. Mild issues connected to jagged edges and shimmering occurred, and light edge enhancement appeared. Except for a few archival bits, print flaws weren’t an issue. I thought the Dolby Digital 5.1 soundtrack of Inside Job was also acceptable. The soundfield had little going for it. Music showed decent stereo imaging, and a few effects spread out across the front. These were minor, though, and didn’t add much to the experience. That said, a documentary like this didn’t need a dynamic soundscape, so I didn’t mind the bland presentation. When we head to the set’s extras, we open with an audio commentary from director Charles Ferguson and producer Audrey Marrs. Both sit together for a running, screen-specific discussion of shooting and conducting the interviews, visual design and the use of archival footage, editing, narrative and structure, thoughts about various interview subjects, music, research and a few other areas. Expect a fairly mediocre commentary here. Ferguson and Marrs throw in a mix of good details, but these tend to appear infrequently. We find quite a lot of dead air and rudiments that lack a lot of depth. Though there’s some wheat in there, the chaff dominates and this becomes a lackluster track. Nine Deleted Scenes fill a total of 46 minutes, 15 seconds. Each one focuses on a different interview subject: we hear from Two Trillion Dollar Meltdown author Charles Morris (5:22), IMF Managing Director Dominique Strauss-Kahn (7:37), former New York Governor/Attorney General Eliot Spitzer (8:05), Financial Times US Managing Editor Gillian Tett (4:36), Moody’s Rating Agency former Managing Director Jerome Fons (2:41), Singapore Prime Minister Lee Hsien Loong (1:49), Traders, Guns and Money author Satyajit Das (9:02), MIT professor/IMF former Chief Economist Simon Johnson (1:38) and financial commentator Yves Smith (3:45). Most of these scenes add more in terms of “nuts and bolts” information. They expand our understanding of the financial notions discussed in the film and flesh out the different topics. That makes them informative but not scintillating or vital; the movie already explains most of the content well. Next comes a featurette entitled The Making of Inside Job. It goes for 12 minutes, 32 seconds and includes notes from Ferguson and Morris. 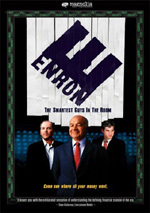 The show covers the movie’s themes and goals, research, aspects of the story, opinions of the financial subjects involved and thoughts about ways to fix the problem. To call this a “making of” program is a mistake, as it tells us almost nothing about the movie’s creation. Instead, it’s essentially an op-ed in which Ferguson and Morris throw out their arguments. They’re interesting, so the show’s worth a look. The DVD opens with promos for Another Year, Get Low and The Tillman Story. These also appear under Previews, and we get the trailer for Job as well. 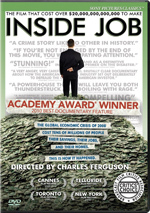 A tight take on the recent financial crisis, Inside Job aptly recaps how the economy got into its current mess. It also suggests potential solutions and creates an entertaining, provocative piece. The DVD comes with decent to good picture and audio as well as an erratic but generally positive set of supplements. 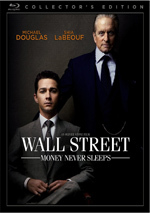 This won’t blow you away as a DVD, but the movie’s a fascinating look at financial malfeasance.